We have done a little bit. We are planning to do more as there is plenty of scope to reduce plastic and energy within our business. In fairness we are in the business of keeping vast amounts of TVS, DVDs, hi-fi in use. Without a remote some items are unusable. Remotes get damaged or lost and by providing a replacement service this at least delays the date at which the devices get sent to landfill or to recycling centres. I looked at my own consumption of plastic and picked one tiny area. For years I have been buying and using disposable razors. Quite a lot of plastic for a limited use. I looked into re-sharpening them first. Apparently, you can run them over some denim and it brings them back to life. All it does it clean the blade and make it look shiny. Don’t be fooled by videos and websites suggesting that a bit of cloth will return a steel blade back to factory condition. It won’t. You need a grindstone. You can’t use any rotary tool or whetstone as the blades are awkward to get out and put back in. I moved over to a single bade razor. It is made from brass and you simply change the blade when required. 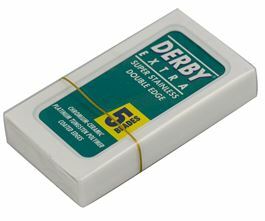 A pack of ten blades still comes in a small plastic box with a plastic wrap. So, it is only a reduction in plastic rather than an elimination. Nevertheless, quite a lot less. Maybe I can get a supply from somewhere that avoid plastic packing later down the line. 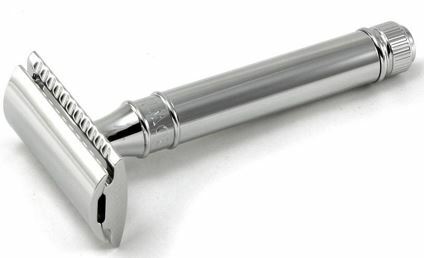 As far as costs are concerned the razor was £60, but the replacement blades are very cheap. Return on investment is about 18 months, thereafter a considerable financial saving. As for the shave, well it is better than disposables for sure. This then led me to think about the plastic in use in our business. Can we reduce it? We have the remote controls wrapped in a plastic sheaf. This is essential to avoid them getting marked or scratched. I will investigate changing to paper. Whether this is better in terms of energy and tree consumption I am not sure. It is open to debate. Paper and cardboard rots down, but in the manufacturing process a lot of environment ills are present. We send out products in either a carboard wrap or jiffy bag. A vast amount of plastic bubble wrap is used by us and all the other online distributors. Then there is the Sellotape and labels too. The remote itself. Is there an alternative to plastic in products such as remote controls? Bamboo? Wood? Nothing beats plastic in terms of price, availability and durability. Maybe for a toothbrush, but it is hard to envisage a remote control in other materials. If customers were to send remotes that they no longer have a use for, could we recycle them? The answer is, not really. Maybe the chip could be taken off and reused. The rest is of little value. The plastic could be shredded and utilised. However, we have two considerations. The energy and effort needed to dismantle and granulate is huge. There is also a lot of energy consumed in the transport of the remote via the postal system. And maybe another jiffy bag used. Who keeps assorted sizes of used ones somewhere that can be found again to be reused? Plastic has a high value, but only in a very clean granulated state. One bit of metal (which will destroy and expensive extrusion nozzle) can contaminate a large batch. No recycler will accept plastic in un processed form. Buying a granulator and paying staff to use it, along with the storage problem, is an issue that is hard to contend with. Maybe I have a sceptical cynical position, maybe others with experience can offer some insights? I am happy that people can continue to use their TV now that they have obtained a new remote from us. Is that sufficient? Feel free to contact us. I will republish when we have done some more. One can easily green-wash, make it seem as though things have changed in an organisation, but is the full story revealed? We have made our first small step. We are working on using gummed tape on the cardboard boxes instead of Sellotape. Sellotape is without a doubt a lot easier to use, but the gummed tape is showing some promise. This tape is fully bio-degradable and in terms of cost, not much more than plastic tape.